Win 6 months of UK's first Vitamin contacts with Waldo! Dry eyes? 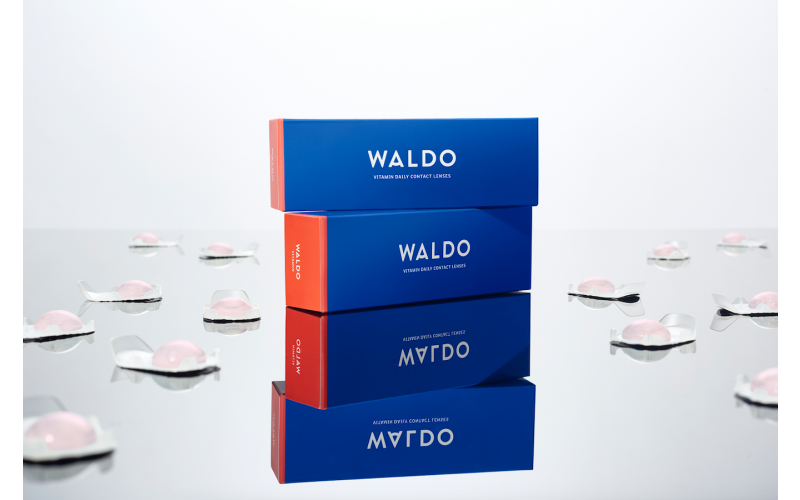 Online eye care start-up, Waldo, recently launched the UK’s first ever daily vitamin contact lenses. The patented solution formula boasts Vitamin B6, B12 and E, meaning that nutrients can reach the eye and leave them feeling refreshed and rejuvenated throughout the day. The lenses are perfect for restoring tired eyes after long travel, brightening them after a rubbish sleep, or simply for keeping them bright after a day of staring at a computer screen. With simplicity as a focus, Waldo contact lenses are supplied on a subscription basis and can be delivered within 48 hours - gone are the days of running out of lenses. To celebrate their new launch, Waldo are giving away a six month supply of their vitamin lenses to three Marie Claire readers. Goodbye dry, itchy or tired looking eyes, it’s time to see the world!